Already have a Username/Password for Jurnal Ilmiah Islam Futura? In order to increase the publication quality of JIIF, started from August 2018 there are some new regulations must be understood by authors. JIIF is published two editions annually in August and February in which there are only 8 selected articles will be published in each issues. 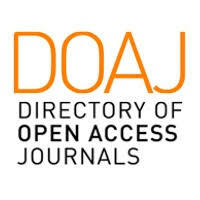 Any articles submitted in this journal should be scientific (research articles), original and has not been published and/or sent to any journal or media. The writer should sign the statement letter which strengthen about this issues by confirming the submission checklist. The content of the article relates to focus and scope of JIIF. The translated of a manuscript is not accepted. The manuscript is written in English or Arabic which fulfills the criteria of good and correct writing. The length of article is around 6000 to 10.000 words with 1,5 space, typed in MS-Word, with Times New Roman font size 12 on A4 paper (the margin for right, left, top and down is 2 cm). Due to blind review policy, the author must remove any trace of identification such as name(s) and e-mail address in the submitted manuscript file. The manuscript is submitted through OJS portal and confirm to email islamfutura@ar-raniry.ac.id by attaching the author's short biography and statement of article originality. Written in English and Arabic. Provides a synopsis of the entire article. Starts with the broad context of the study, followed by specific background for the study. Describes the purpose, methods and procedures, core findings and results, and conclusions of the study. Emphasizes new or important aspects of the study. Be understandable to a diverse audience (avoid using jargon). Be a single paragraph of less than 250 words. Not contain citations or uncommon abbreviations. Articles submitted should be written according to the JIIF author guidelines. The article template can be downloaded here, and the Chicago Manual Publication style can be downloaded here. The manuscript (along with the substance) has not been published and is not in the process of publication in other journals or media. The manuscript follows the JIIF writing style/format and references as indicated in the "author guidelines", which is contained in the section "about the journal"
Manuscript submitted has followed the rules in the policy of "blind review," in which the author's name and identifying information associated with the author has been omitted from the manuscript. The names and email addresses registered in this journal site will be used exclusively for the stated purposes of Jurnal Ilmiah Islam Futura and will not be made available for any other purposes or to any other parties.